Obituary for Kimberly Ann Taylor | Henry Funeral Home, P.A. Kimberly Ann Taylor slipped away to eternal rest on Tuesday April 2, 2019. She was born August 11,1969 in Washington, DC. to the late Evelyn Keene Scott and Clarence Scott. When young, Kimberly loved living in the city, but always enjoyed coming to Cambridge in the summer to spend time with her family and to eat crabs. Kimberly graduated from Emerson Preparatory School in Washington, DC, and quickly knew after High school she wanted to become a nurse. She attended and completed Nursing school and later returned to receive her MA degree to work as a Medical Assistant. “Kim” always had a passion for nail design so she decided to attend Cosmetology School. For several years Kim did nails and toes and was always told she had “the magic touch” when it came to her famous pedicures. 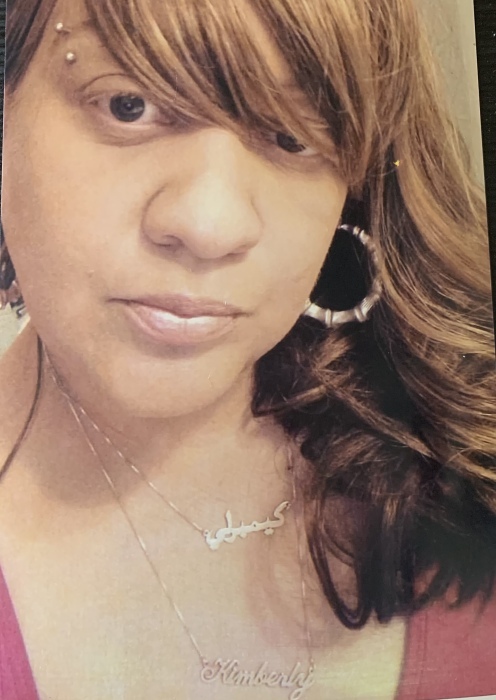 She was a long-time employee at Dorchester General Hospital, where she worked as a nurse as well as in the pharmacy department. Kim also worked as a pharmacy tech at Rite Aid. Kim loved to laugh and have a great time. While living in the city, Kim enjoyed Attending the GO-GO on the weekend with friends and was always the life of the party wherever she went. Some of her hobbies included crafting, shopping, traveling and spending “girl time” at the winery with her daughter Ekira. Some of her favorite places to visit was Miami, FL & Atlantic City. She enjoyed wearing her personalized jewelry and always kept up to date on the latest styles, especially with her purse collection. Kim had a nurturing spirit and became a “mom like” figure to many kids in the community. Kim’s love for the youth prompted her to also become a substitute teacher for Dorchester county where she worked with Pre-K to 12th grade students. She was a natural-born caregiver and used her medical knowledge to provide care and comfort to family and friends in need. She was preceded in death by her beloved parents Evelyn and Clarence Scott, sister Gwendolyn Askins, Aunts/ Uncle, Edna Watkins, Leonard Keene, Laura Johnson, Ruth Kiah, Elaine Stanley, Ramona Jones & cousin she loved like a brother David Kiah. Cherishing her memory are her daughters; Ekira Taylor (Markquon) and Ava Jones; Devon Jones, who was like a son; lifetime partner, Santo Jones as well as a host of other relatives and friends.